Zoho Books is integrated with G Suite to make bookkeeping more powerful with more tools at your disposal. 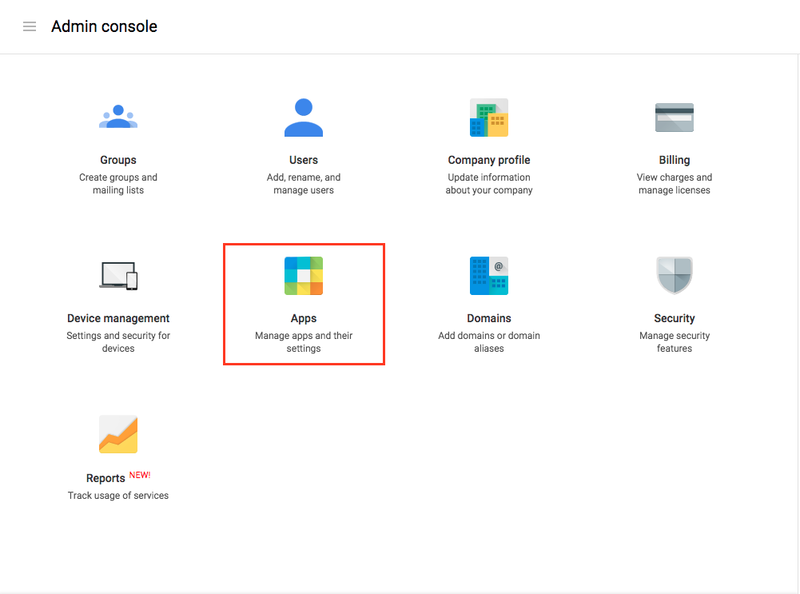 With this integration, you get the best of Zoho Books’s powerful accounting tools combined with Google’s varied collaboration, storage, communication products and services. 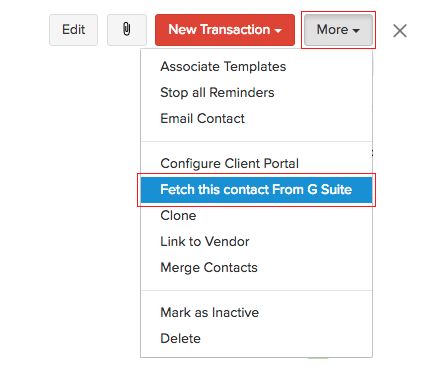 With just a single sign-in and seamless integration, this will make it very easy for G Suite customers to access all their transactions in Zoho Books when logged into G Suite. You must have a G Suite email address (which is different from that of your Gmail email address). This email address should be the same as the one used to log into Zoho Books. Have a different email address? This page will list all the apps installed for your account. Click on the + icon and search for Zoho Books. Click on + INSTALL APP to install the app into your G Suite account. Once the application has been installed, scroll through your application list and click on Zoho Books. Click on the Launch this app icon on the top right corner of the screen to open Zoho Books. You will now be asked to either create a new organization or link an existing organization in Zoho Books with your G Suite account. Click here to know more about how to create a new organization in Zoho Books. Select the users you wish to import by selecting the check-box against each name and click on the Add user now button. 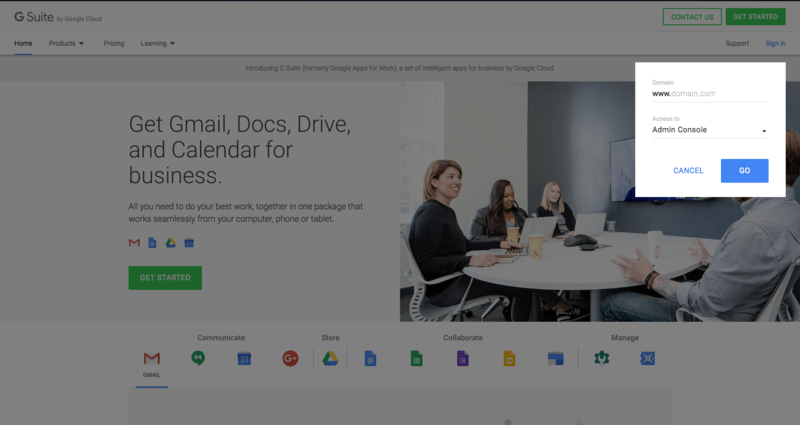 Your G Suite account users would now be imported into Zoho Books. P.S: Please note that your users would be marked Inactive by default once they have been imported into Zoho Books. You will have to navigate to Gear Icon-> Users, hover your cursor over a user and select Mark as active to activate the user. 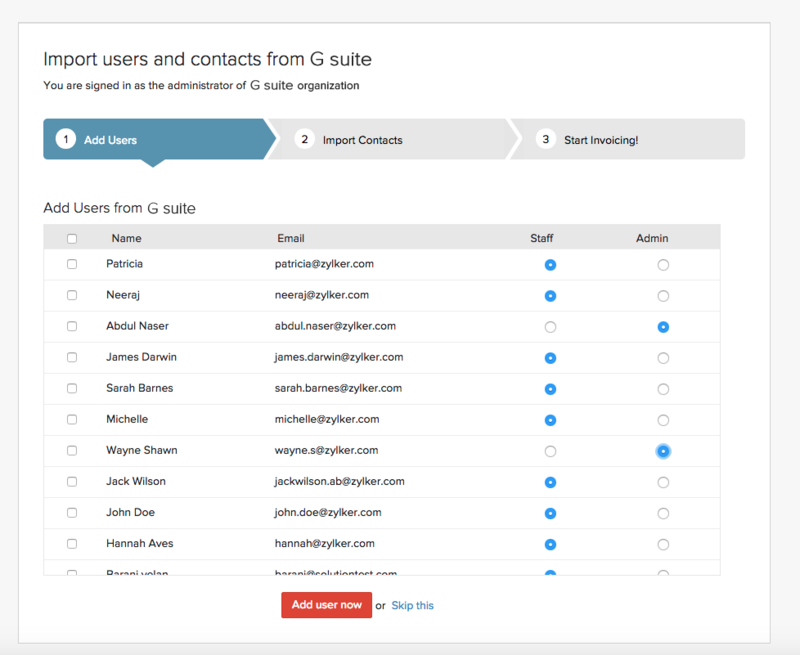 Click on the Gear icon and select Users and click on the Import G Suite Users button. Once the users have been imported select or type the email address from the “Choose email from Gapps or Add manually” drop-down. 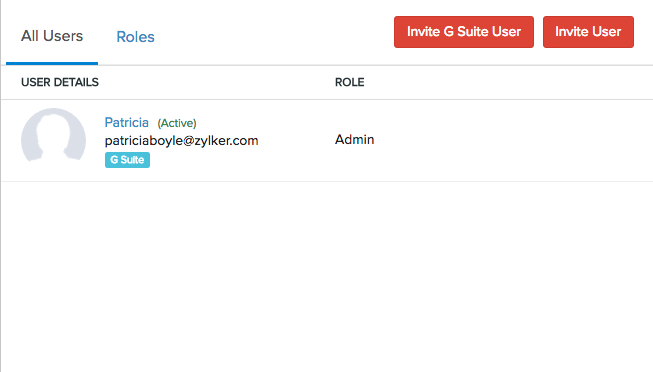 Select the user from the drop-down and assign a Role for the user you wish to invite. Finally click on Send to finish. Select the contacts you wish to import by selecting the check-box against each name and select on Import Contacts. Your Google contacts would now be imported into Zoho Books. 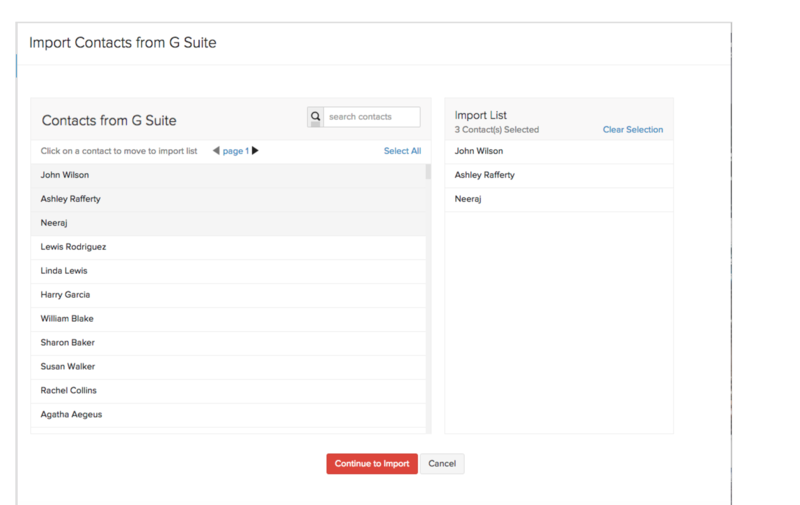 In the screen that follows, you will be asked to select the contacts you wish to import from G Suite into Zoho Books. 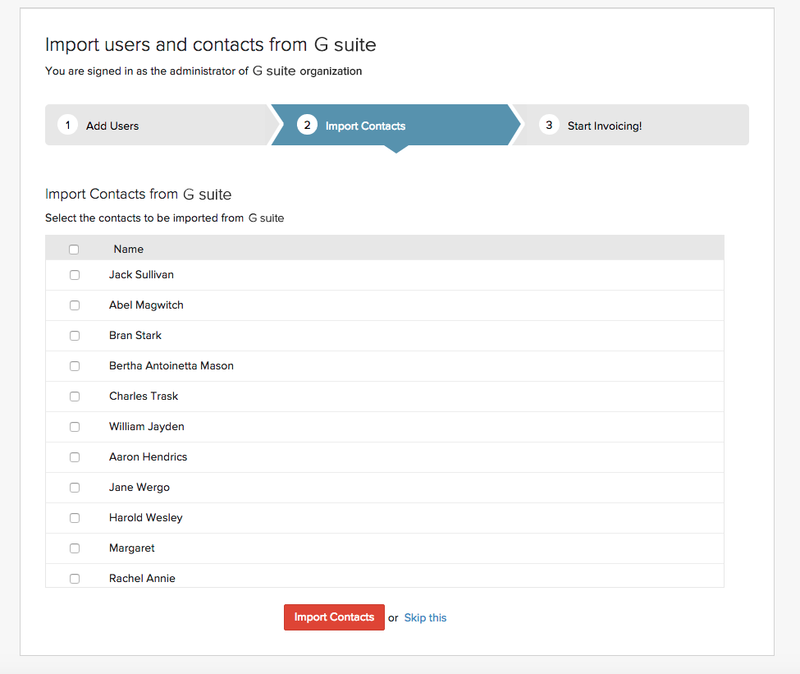 Select the contacts from the list and confirm by clicking on the Continue to Import button. Your contacts would now be imported into Zoho Books. If you wish to update the details of a contact that already exists in Zoho Books, navigate to the Contacts module and click on the contact you wish to update. Click on More on the right most corner and select Fetch this contact from G Suite from the drop-down.